A new train was named after Glastonbury Festival founder Michael Eavis earlier this morning (April 9). Castle Cary station, the transport nerve centre responsible for taking thousands of Glasto-goers to and from the festival site, has also received a new dedication as ‘Castle Cary, Station of the Glastonbury Festival’. The legendary dairy farmer was recognised with the honour in light of the contribution he and the festival have made to the west country. “This is the second train to be named after me in 5 years so I am excited, It’s a great privilege. “A lot of people come on the train to the festival and Great Western is a great corporation,” said Eavis. 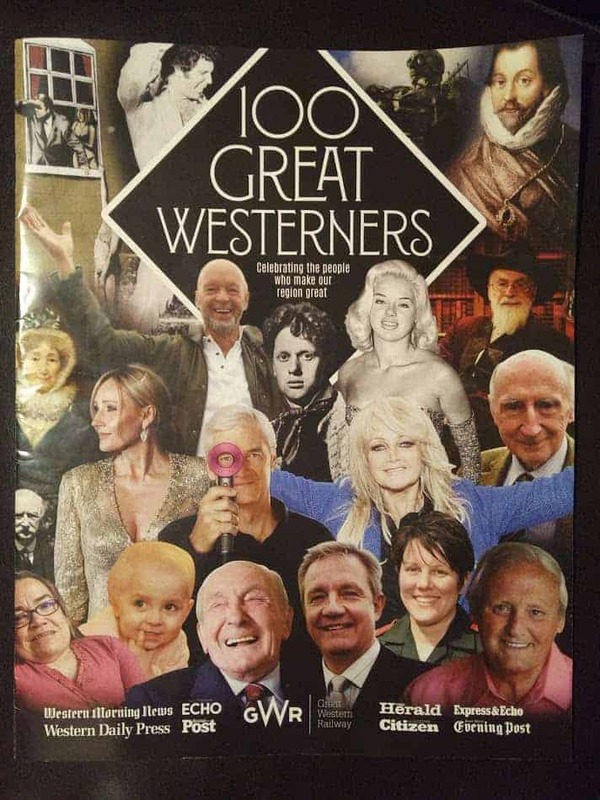 The naming of Great Western Railway’s 100 Great Westerners new Intercity Express is the result of a public poll of readers from ten newspapers, who nominated figures from past and present to celebrate some of the most inspiring individuals from the South West region. The top 50 of GWR’s new Intercity Express trains will bear the names of the 100 Great Westerners – with the first train being named by The Queen in June 2017. GWR Sales and Marketing Director, Phil Delaney, said: “I know Michael is a keen supporter of the railways, and when you consider the number of places this will pass through, it is safe to say thousands more will see the high regard in which he is held across the South West. “Great Western provides over 50 extra trains to and from Castle Cary to help Glastonbury travellers attend the festival, carrying as many as 15,000 festival goers. “The first 50 of GWR’s new Intercity Express Trains will bear the names of the 100 Great Westerners. “The first train was named by Queen Elizabeth II in June 2017. Great Western provides over 50 extra trains to and from Castle Cary to help Glastonbury Festival travellers attend the Worthy Farm event, carrying as many as 15,000 Glasto-goers each year.